Filipina Doctor Ethel Pineda on her Facebook page heavily criticized Vice President Leni Robredo of being incompetent in her position and the same time of being abusive. 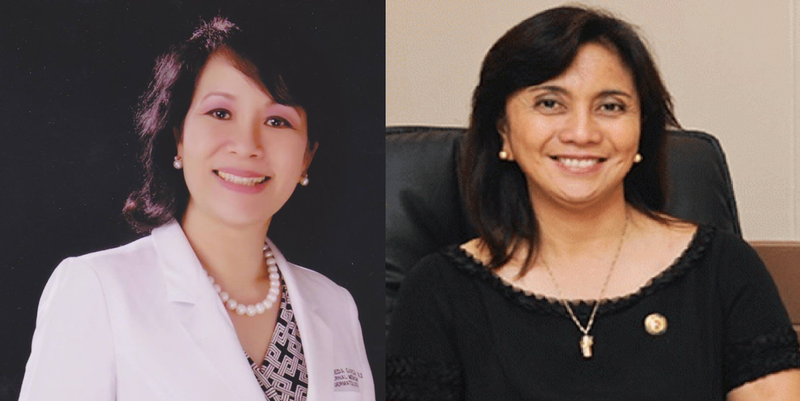 The doctor said that she wished Robredo did not take the support of the Liberal Party which they previosuly offered to former senator Grace Poe. She also reminded the VP of how President Benigno Aquino III's men searched her condominium for evidenciary documents proving the corruption of her husband, Jesse Robredo after he died, and his term as the Interior and Local Government Secretary during Aquino's term was put to a halt. She also criticized how Robredo praised Pampanga Governor Lilia Pineda, one whom she claims is involved with illegal gambling particularly Jueteng in their area.
" Nalaglag ang baba ko, pakipulot sa sahig. Ngayon ay hindi na ako masyadong nagtataka. May pinanggagalingan siguro ang paghanga mo. Dahil sa mga balitang lumalabas ngayon, marahil di kayo masyadong nagkakaiba. "Iyo ang Pampanga, akin ang Naga," she said. She said that the people need only wait for the result of the electoral protest filed by former Senator Bongbong Marcos against Robredo for alleged electoral fraud. "Ang sabi ng mga matematiko, may statistical improbability. Bukod diyan, may nabuking sa mga PCOS machines. No one can trample upon our sacred right to vote. Diyan lamang nagkaka-pantay pantay ang mga Pilipino. Ang isang boto ng senyora sa Forbes Park ay katumbas ng isang boto ng kanyang muchacha. Wag mo kaming dayain. We take that personally," she said. She said despite that, Leni couldve just shut up as she sat as VP. Then her chances of being president would have increased. "Sana pa rin, nang ikaw ay sinwerteng naluklok bilang bise presidente, nanahimik ka na sa inyong chamba. Malay mo, maging presidente ka rin. Kaya nga lang, mahirap kumalas sa sindikato, ano? Your principals are waiting for you to deliver. The power back to the LP, nothing less," she said. "Not only did you choose to tangle with the president head on, you sincerely failed the responsibilty entrusted to you as housing secretary. Wala ka na nga nagawa, combative ka pa. Wala ka na nga nagawa, nagsinungaling ka pa. Iniwan mo ang Naga during one of the worst calamities to hit it. Nang lumindol sa Surigao, inangkin mo pa ang tubig ng Coca-Cola. Mystery truck ka diyan," she added. Sponsor She also said that if Robredo believes that democracy demands dissent, why were her opponents silenced? "You are not fit to be Vice president. Do not even for a second think that you can fill the shoes of Rodrigo Duterte. Isama mo pa ang mga paa (or hooves) ng buong Liberal Party. Kahibangan," she said.